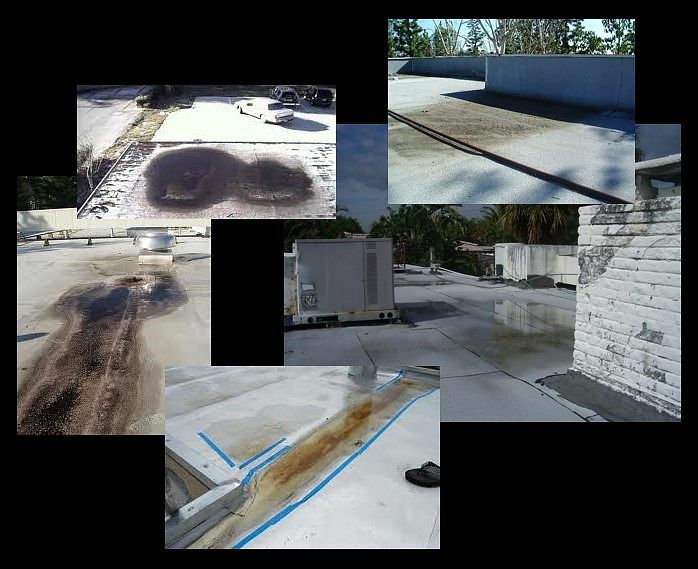 Flat roofs, while possessing some advantages over sloped roofs, are susceptible to leaking in ways that sloped roofs are not. One of the key weaknesses of flat roofs is the tendency to develop pooling. 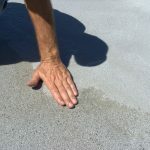 Pooling is defined as a condition in which water remains on a flat roof for 48 hours or more. This can greatly shorten the life of a roof–or, even worse, the structural integrity of the building itself. So when should you replace flat roofs instead of repairing them? Here are some signs that your flat roof should be replaced. The largest issue with flat roofs is pooling. 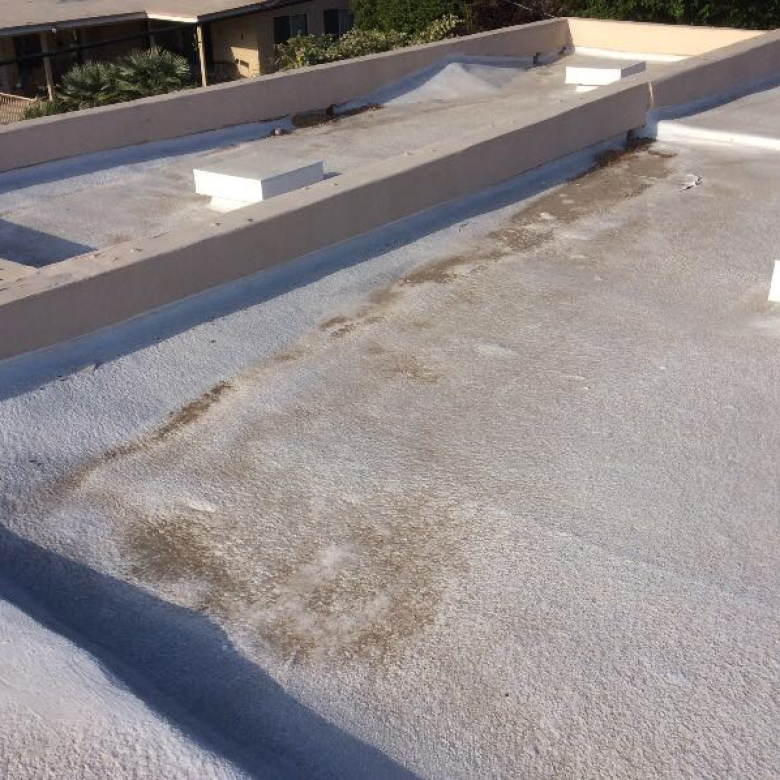 If your roof regularly develops pools of water you should consider having it replaced. There are some products on the market, such as RoofSlope, that can be used to add a pitch to your roof. 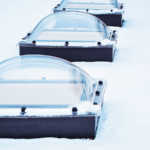 This may be an option for eliminating roof ponding and may be an option depending on how extensive your roof damage may be. Large rips and tears in the material and/or seams. Flat roofs may eventually develop tears and holes in the roofing material. 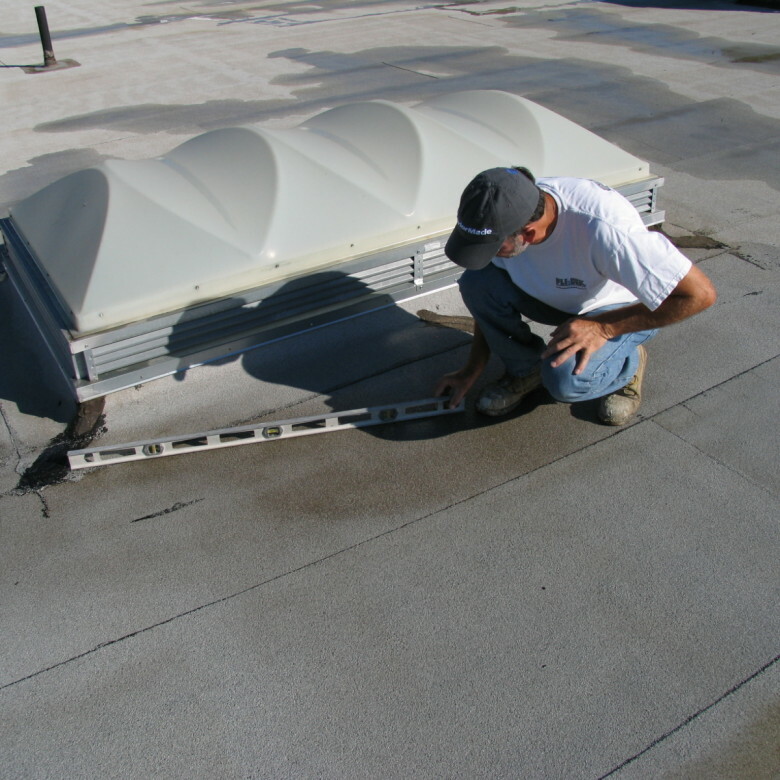 This issue is particularly likely to crop up along seams in the roofing. This is where two pieces of material were joined together. If the damage is slight, a repair may suffice. On the other hand, if the damage is extensive, you may be better off replacing the roof entirely. You can be sure that other areas of the roof are probably close to failure. Roofing material that does not easily show damage. It is simple to find the holes in some types of roofing material such as membranes made from various materials. Other types of roofing material–such as a tar and gravel roof–are more challenging. Even an experienced contractor may only have a success rate of around 50% in finding and repairing holes. If your roof is composed of a troublesome material that does not allow contractors to easily locate leaks, you may want to consider replacing it with a different type of roofing. When it comes to the dilemma of repair or replace, it can be tough figuring out the best course of action. In the short-term, it is usually going to be cheaper to repair the roof. On the other hand, if your roof is bad enough, continuing to repair it becomes a never-ending exercise in futility. And you can easily end up spending more on repairs than you would have spent to just replace the roof entirely. A good rule of thumb is this: if the material with which your roof was constructed has reached the end of its service life, you should probably replace it instead of repairing it. It is only a matter of time until other problems develop. In addition, if the cost of repair is going to exceed 20% of the cost of a new roof, and if the age of the roof is more than half of the expected service life of the material with which it is constructed, you should probably replace it. The likelihood of having to pay for additional repairs in the future is high enough to justify the additional outset at the present. Of course, the decision of whether to replace or repair a roof is a complicated matter. It is worth your time to talk with an expert. You should have at least 3 different contractors take a look and give you an opinion. If you have any questions, or if you are interested in learning more about your options, please feel free to contact us.